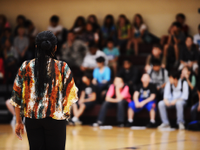 Among the most underappreciated of education professionals may be school counselors. These certified or licensed professionals (depending on state requirements) work with teachers, parents, social workers, and many others to address the academic, the career, and the personal and social development needs of all students. And research consistently shows that their efforts are critically important to student success, both in school and in life. But in too many places, unfortunately, school counselors are considered a luxury. While the American School Counselor Association (ASCA) recommends ratios of one school counselor per 250 students, the national average is nearly twice that amount of students. The Office of Civil Rights U.S. Department of Education has also found that, nationwide, one in five high schools lacks a school counselor. However, a new light is shining on the school counseling profession. With the call to graduate all students so they are college and career ready, the role of the school counselor is being celebrated in a way that it hasn't before in my lifetime, particularly at the federal level. It is clear that the current administration recognizes the vital role of school counselors. U.S. Secretary of Education Arne Duncan is encouraging support and resources for school counselors, and there was a key emphasis on the profession in First Lady Michelle Obama's Reach Higher Initiative. Additionally, the Obama administration held a summit which included ways that students can receive more assistance to pursue postsecondary education, while the upcoming School Counselor of the Year ceremony will be held for the first time at the White House. As this light is shining on the school counselors, we should take care to recognize all the contributions they make in the lives of students and in the school community. Counselors often lead a school's work in conflict resolution, and can play an important role in substance abuse education. They refer students and families to community agencies that can help them meet their food, housing, and legal needs, as well as address other challenges they may be facing. They can play a huge role in building the culture and climate of a school. They also often lead a school's work in "soft skills," such as grit, motivation, and self-regulation, conducting lessons directly with students and training other staff in how to develop these skills in students. And they do much, much more to remove barriers to learning and help students succeed. Consider, for example, Mindy Willard, the counselor at Sunset Ridge Elementary School, in Arizona, and the 2013 School Counselor of the Year. She has created a counseling program that serves all 650 of her school's students through a range of activities and interventions. In addition to small group sessions and individual counseling as needed, her program focuses on guidance lessons. The sessions and lessons Willard offers to students are a top priority. She says they are the only way she can ensure that all 650 students are impacted by the counseling program. And because she believes strongly in prevention, she visits each classroom twice a month, designing age-appropriate lessons based on grade-level data, and using evidence-based counseling curriculum when possible. In addition, Willard addresses school-level challenges as they arise. Faced with changing demographics and increased transiency due to economic issues, she researched best practices for welcoming and transitioning new students, and she developed several activities. These activities include a quarterly "Breakfast with the Counselor" for new students, student surveys on their transition, and a welcoming committee of National Junior Honor Society students that meet new families and give school tours. It's important to her that new students feel cared for and welcomed. Also, to meet the needs of the increased number of students without school supplies or appropriate clothing, Willard works with the student council and National Junior Honor Society to host school supply drives, clothing drives, and canned food drives. She also refers families to community agencies that can better assist them when they have a need she is unable to fulfill through her own resources. Willard's program is certainly an exemplar. In addition to her being named the School Counselor of Year, her program has received designation as a Recognized ASCA Model Program, an honor reserved for comprehensive data-driven school counseling programs. But across the country, counselors like her are engaging in important work every day, and we should do more to support and recognize that. Present a certificate of appreciation, not only to a school counselor but to the faculty members, parents, and other stakeholders who help promote the school counseling program throughout the year. Create a press release, which can be customized with information about what your school or district is doing to celebrate National School Counseling Week. Of course, one of the best ways to show appreciation is to just say thank you. So during National School Counseling Week -- and throughout the year -- be sure to let the counselor or counselors at your school know how much you appreciate what they do.